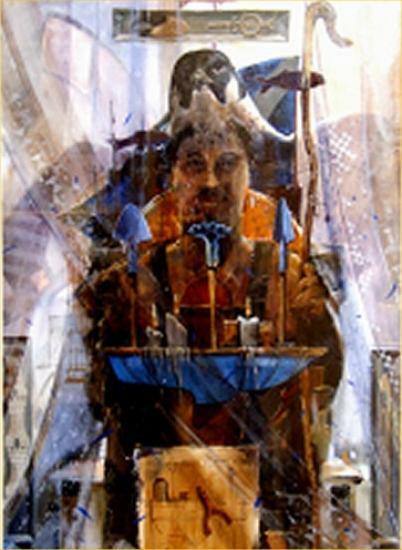 Derek Robertson's work is often described as narrative, or poetic. It is work that is profoundly inspired by the natural world, the landscape and its history, and reflects man's relationship with his environment through imagery derived from the cultural references of folklore and custom. Despite having a love and fascination for nature, his paintings depict something of its dark underbelly: an elemental force that is at once part of, and somehow separate from, the human experience. Admission is free. NB The gallery is on the first floor and has no disabled access. An exhibition of Craft work 'Over The Hills' is running concurrently in The Swanson Gallery, Thurso. This is fully accessible.